Carried in thickness from .015” through .125” in 39” wide rolls. Thermodyn Global Sealing’s vegetable fiber gasket material is a general purpose, protein plasticizer treated fiber product. Tested to F104-Classification System for nonmetallic gasket materials its temperature range is 250°F maximum. 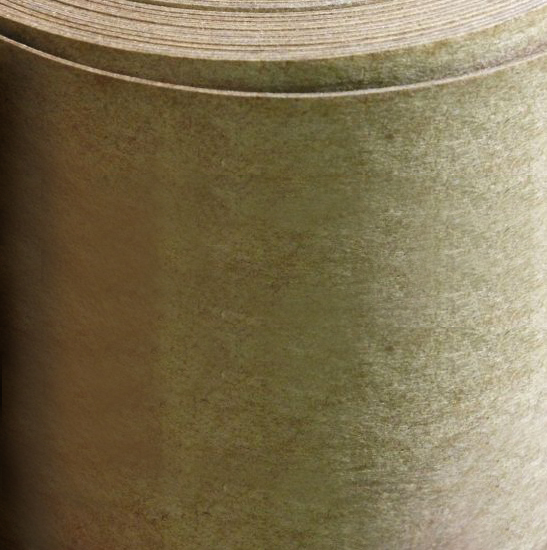 Protein plasticizer treated vegetable fiber gasket materials are a good choice for general purpose sheet packing. This material performs well in various environments with good mechanical properties and good flexibility for applications like flange gaskets. Protein plasticizer treated vegetable fiber gasket materials are resistant to lubricating oils, toluene, diesel fuel, gasoline, ethylene glycol and many more petrochemical products.